Luciano's weekly parties at Ushuaia in Ibiza this summer have been nothing short of extraordinary. Each Thursday over 6000 people have crammed into Ushuaia's beautiful outdoor singular dancefloor to watch the Cadenza boss and his exciting guests put on one helluva DJ show. As well as cutting-edge beats, Luciano's parties at Ushuaia have featured spectacular visuals and live performers. Acrobats have pulled impossible moves just above the decks. Confetti cannons have covered the entire dancefloor in a snowstorm of white paper love hearts. Models dressed in haute couture have decked the stage. Fireworks have exploded, flames have spurted, and lasers have cloaked the masses. Luciano invited a huge range of credible electronic music artists and DJs to play with him over the season. Altogether 67 guests played for Luciano at Ushuaia this summer, including Dennis Ferrer, Dandy Jack, Maya Jane Coles, and Rebelski on a grand piano, Uner, Stacey Pullen, Derrick Carter, and Richie Hawtin for a magical back-to-back session, Franck Roger, Butch, DJ Sneak, Radio Slave, Nina Kraviz, a plethora of Cadenza artists, and many, many more. Now finally, the somewhat bitter sweet closing party is here. On September 27th, Luciano will be accompanied by none other than the legendary US house music duo, Masters At Work, for what will undoubtedly be one the highlights of the whole season. Cadenza's Michel Cleis and Mendo will also play, as will Alfonso Leon. 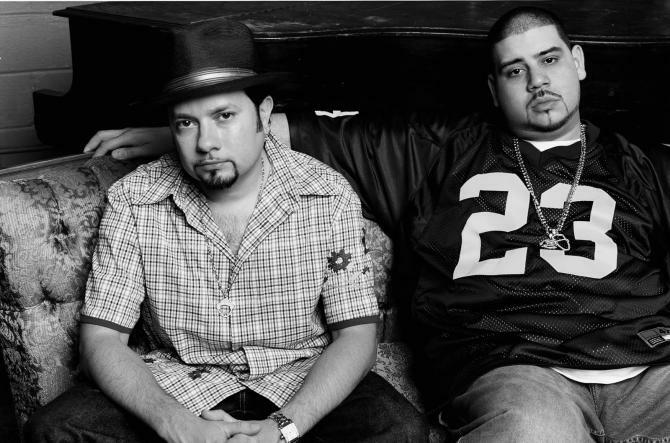 And Luciano is so excited about Masters At Work playing for him at Ushuaia, that he has personally interviewed MAW's Little Louie Vega exclusively for CadenzaMusic.net! 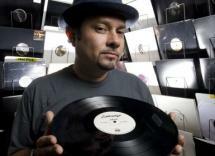 Here is his in-depth interview with the ever talented Mr. Vega. And scroll down for a special preview 30 minute mix of what to expect from MAW at Luciano's Ushuaia closing party of 2012. Luciano: I'm so excited to be able to play with you guys at Ushuaia in Ibiza for my closing party. What sort of grooves, artists and labels are currently exciting you? I'm into all good music. Grooves I like can be fully orchestrated or as simple as a beat or minimal tracks. Artists that are currently exciting me: Anane and her NuLu Music sounds, Sheyi Olagunju's unique vocals and percussion, Josh Milan and his Honeysweet instrumental project, the Elements of Life with their new sounds, Fania Records, and D'angelo coming back. Also coming out to DC10 on a few Mondays this past summer was exciting for me, as I got to check out a few DJs and their unique sounds. There are a few out there worldwide for me that make me jump off my seat. If it moves me then I'm excited about it. You have been DJing for many years. You must have some crazy stories! Which party was the most memorable? Is there one that stands out?! One of my favorites is when I was asked to come out to South Africa in 1999 to DJ in Johannesburg. There were 30,000 people in front of me! It was a touching and incredible experience, and they loved the sounds. It was the first time they had heard something like this, and that event helped to inspire the many sounds of dance coming out of South Africa today. All the big artists and producers from South Africa were at the event and when I DJed it helped to change the music made by the young generation at that time. Today you have Oskido, Black Coffee, Culoe de Song, and many others who are true artists in their own right and have their sounds conquering the world! We love and support them to the fullest and have signed some of their music to MAW and Vega Records in the past few years. Another favorite is when I was asked to compose and produce a song for Cirque de Soleil, which I co-wrote with Blaze. I had to perform the song live at the Superbowl in 2007! Anane sung the lead and my band Elements of Life backed her. I conducted the band in front of 70,000 people at Dolphin Stadium with 145 million people watching on television around the world. It was a surreal experience. I can go on and on with incredible memories in the UK, Japan, Australia, Ibiza, Italy, and so many more. But that’s another interview! Ushuaia is an amazing outdoor club. Can you remember the last time you played under the stars in Ibiza? Anane and I started an event there three years ago at the Blue Marlin called Sunset Ritual. We did two summers in Ibiza in 2010 and 2011. It was really beautiful to play outside and there is nothing else like playing with the earth and sky surrounding you, especially on a beach. We have now taken this event all through the Mediterranean and now it is going around the world. This summer we were on a beautiful beach in Otranto, Italy and we had over 3,000 people feeling the sunset ritual during late afternoon, into sunset and into the night until midnight. Our sets and events run anywhere from six to 10 hours. It is musical heaven with surprise friends, musicians, DJs, and singers who make their appearance and jam with us. Sunset Ritual has gone from the Southern part of Italy to Mykonos and back to Ibiza and Formentera with Moon Ritual (our night event). We look forward to next year's Sunset and Moon Rituals! I've been a big fan of your music for many, many years! Tracks like Hardrive's 'Deep Inside' from 1993 or KenLou's 'The Bounce' from 1995 really inspired me early on in my DJ career! I still play those tracks today! Why do you think those tracks are so timeless? It's really nice you still play these tracks, thank you. They were really ahead of their time. For me to have a track played almost 20 years after it was made means a lot to me as a composer, music producer, and DJ. I made 'Deep Inside' in less than two hours and I guess when you least expect it, it happens. 'The Bounce' was also made with Kenny and I just vibed in the studio during one of our remix sessions. When we did remixes we usually made three or four different music tracks so we always had something left over to use later and the grooves were usually in the pocket and hot. There was always an experimental MAW, Vega, K-Dope track that stood out and lasted through the styles of dance that came out. I can see why those tracks of your choice are still here today. Sometimes when we made some of those tracks not many understood them at the time, and as time went by then they started gaining some attention. You have good ears! I love the KenLou sound, and think it's perfect for my party at Ushuaia! Is this what we can expect on the day? You can expect that and more! You guys have remixed so many amazing artists over the years. Which remix are you most proud of, and why? We recorded easily over 1500 tracks, remixes, and productions over a period of ten years. We were very lucky to be able to work with the calibre of artists that we worked with in that period and we had lots of fun creating that music. Of course it was an honour as well to be in the studio with artists like Tito Puente, Eddie Palmieri, Roy Ayers, Donna Summer, Luther Vandross, Gloria Estefan, Marc Anthony, George Benson, Joe Sample, and many more. The two projects I'm very proud of are Nuyorican Soul and Elements of Life. With those two projects we really took producing to new heights and also put an all-star band together featuring musicians that we had worked with over the years, which helped bring our music to life! We've travelled all over the world as well and have played over 120 festivals and venues: Montreaux Jazz festival, North Sea jazz festival, Womad, Pori Jazz festival, Sonar, and venues like the House of Blues in LA and New Morning in Paris, to name a few. We've played as well many openings of Cirque de Soleil shows in Las Vegas and several other unique shows. For Elements of Life (the orchestra and friends) we have a new album coming out in January 2013 called ‘Elements of Life: The Eclipse’ and it will be released on the legendary Fania records label. This is a big honour for me since it was the label of my late uncle Hector Lavoe and the Fania all stars. The next Vega saga will begin soon with a world tour and lots of releases with hot remixers. I will be asking you to remix one soon too! I'm very proud of this album which took me four years to complete. We will tour from the beginning of December 2012, starting in South Africa and Mozambique, before Europe in 2013. What was it like growing up in New York's club scene as a young DJ? Those early NYC years sound so wild! Tell me, what was it like from a DJ's perspective? What was the energy like? Did DJs mix records differently then? What was the music selection like? Growing up in the Bronx, NY was really an experience and a trip that has made me who I am today. I remember the block parties where I lived, my sisters were dancers who went to all the great NYC clubs like The Loft, Paradise Garage, Studio 54, and The Gallery, to name a few, and they heard all the good tracks that we now call classics. They taught me a lot about the scene in my very early years (age 8 - 12). My uncle, being a famous singer on Fania Records, had huge hits on the radio and played at venues like Madison Square Garden, where I'd go and see him perform with my mom. I remember him singing one of his hits ‘Mi Gente’ which I ended up remixing two years ago. I released it on my label Vega Records. At the same time I'd go to the center of the project buildings down the block from where I lived and hear DJs like Afrika Bambaataa and Jazzy Jay play all the breakbeats and disco classics, even punk rock. They played good music and that’s what it was about, not just one style! I also saw the Rocksteady Crew and many more great breakdancers right in front of me. Eventually Jazzy Jay took me under his wing and helped me in my early career when I was 13 years old. I was there when they filmed the movie Beat Street and I got to see it being made right before my eyes at the Roxy (where they filmed the club scenes in the movie). Jazzy Jay and Bambaataa allowed me to come on the set, for which I was very grateful. My father was a jazz tenor sax musician, and he loved Miles Davis, John Coltrane and some of the other jazz greats, so I heard that around the house a lot. In my grandmother's home, I heard lots of Elton John, Stevie Wonder, Led Zepelllin, The Doors, Jose Feliciano, Earth Wind And Fire, Heatwave, War, you name it, all the great pop music of the time, and I watched programs like Soul Train and Midnight Special. So imagine all of that in your ears as a child! There is so much to talk about from those times, but I will save it for the book! I went to clubs very early on in my years and I have to say the feeling was unreal. Imagine having in NYC over 15 clubs with sound systems like Ministry of Sound in London, District 36 in NYC, or Room 26 in Rome, or even as grand as Ageha in Japan, with their amazing lighting system. And these 15 clubs in NYC existed back in the ‘80s! All the great DJs of the time played there including Larry Levan, David Mancuso, Kenny Carpenter, Jellybean, Bruce Forest, Tony Humphries, David Morales, DJ Raul, Afrika Bambaataa, Jazzy Jay, Red Alert, Marley Marl, and many more. They played super tight with their mixing and flawless selections! On the selections, it was about good music, the tempos varied and many styles happened in one set like jazz, latin, rock, dance, world, afro, r&b, soul, house, new wave. If it was not house it was all within the disco groove and beat, but the more experimental type of disco. The records made in those days happened when jazz, rock, world, and latin musicians gave you their interpretation of the sound, and this truly became its own sound! All the DJs that played at that time DJ'd so well that music became known as their sound in their club. For example, Tony Humphries had his Zanzibar sound, Larry Levan had the garage sound, David Mancuso had the loft sound, Kenny Carpenter had Bond's sound, Bruce Forest had the Better Days sound, and so on. That shows you how unique these DJs were with their music and how they played it. They really made an impact. And all those big clubs had incredible soundsystems. The man responsible for the soundsystems in most of these clubs was Richard Long. He was my favorite sound designer, and he did many of the clubs that I ended up playing in in the late ‘80s, like Hearthrob, Studio 54, and Roxy/1018). The soundsystems were very warm and big, and you would hear sounds from organic to electronic and in between, so it sounded superb. In those clubs the Richard Long soundsystems made the tracks sound lush, huge, with clarity and warmth, but with a low frequency that you could only hear there. You would have loved it! Masters At Work are true inspirations for me! Which DJ has been your greatest inspiration, and why? Thank you for the wonderful compliment. We are happy to be there with you at Ushuaia and look forward to all the fun! My greatest inspiration is Quincy Jones. I'm a true producer at heart and I've learned so much from his music. The event was themed, and it was either dressing Bollywood style or as Zorro. I picked zorro and he was Bollywood. We ended up being one of the few who bothered to dress so it ended up being our joke that night. We sat at the same table as Quincy and I was able to speak to him for a while. It was a highlight for me. Imagine what it was like: I grew up with his music, and one of the reasons why I became a producer was because of Quincy, and there he was sitting next to me at dinner! His music has touched me deeply. DJs that have inspired me include Larry Levan, Bruce Forest, Tony Humphries, DJ Raul, Jellybean, Kenny Carpenter, Freddy Bastone, Timmy Regisford, and David Morales. Those are the DJs that I listened to as a kid growing up in the ‘80s. In the last ten years I had the pleasure of meeting the great David Mancuso (from The Loft), who was intrinsic in creating the blueprint of the night club soundsystem that features stacks on four corners and hanging tweeters. All these DJs and many more have helped to make me who I am today, as they all inspired me throughout my early years. Today I still get inspired by DJs like you, Carl Craig, Joe Claussell, Jihad Muhammad, Black Coffee, Moodymann, Henrik Schwartz, The Martinez Brothers, Anane, Black Motion, Carl Cox, Alain Vinet, Oskido, Culoe de Song, Kevin Hedge, Josh Milan, Dubfire, Jamie Jones, Eric Morillo, Maceo Plex, Sven Vath, Richie Hawtin and many others. It is all about the crowd, atmosphere and venue they play in. When you guys are in the proper environment, it’s a wrap! And you all play your styles of music so well and have your own sound. When I went to DC10 a few Mondays this past summer, I felt a rawness and there was a vibe that was right. The atmosphere, crowd, and venue was a good fit. When its right, the DJ can do his thing. At Ushuaia there is a wonderful feeling that we are looking forward to experiencing as well. I think it is time for the Masters At Work sound to be heard in this setting in Ibiza! It will be special, and we thank you for inviting us! Luciano, let’s gooooo!!! We are about to do the doooo together, the big surprise coming soon with our collaboration! Los vemos pronto hermano. Prepara te que vamos ha pasar buen tiempo juntos con las musicas mesclada! Un abrazo!! !